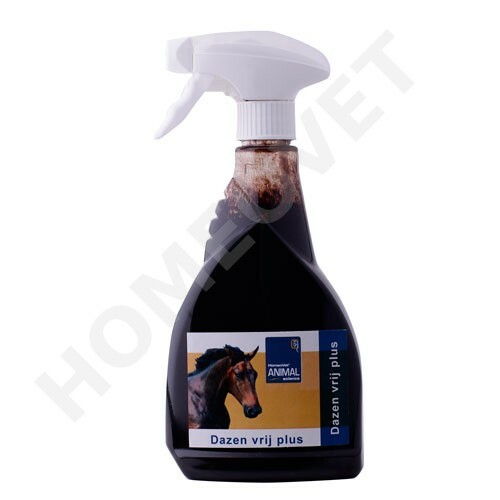 Homeovet Horsefly Free Plus neutralizes the body odor of your horse for a long period so that it protects against horse flies and other flying insects. With plant extracts and tree resin for long-lasting performance. Homeovet Brakes Plus is free ready to use, directly applicable and economical. It is quite enough to spray the sweaty bodies strong. This spray can verursagen dark discoloration on light horses, is abwasbar.